It’s back! 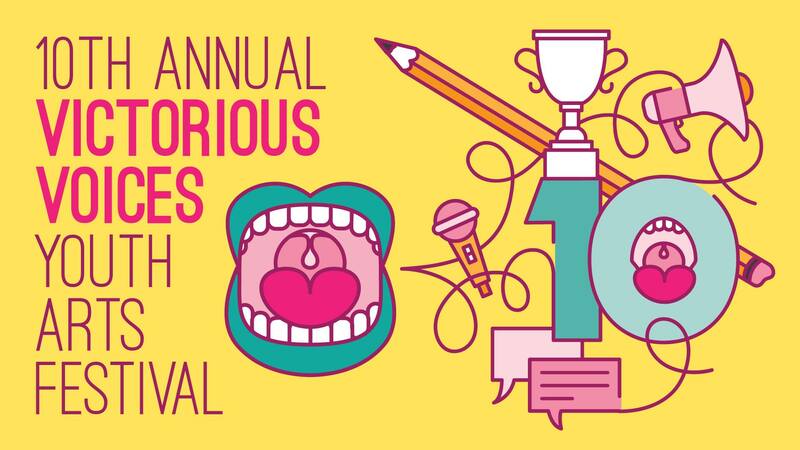 The 10th Annual Victorious Voices Youth Arts Festival is the island’s biggest annual spoken word event and the longest running youth spoken word festival in the country! With award-winning feature poets, workshops, special showcases and the High School Slam Championships, year 10 will be an event you won’t want to miss! Come boo the judges, cheer for the poets, laugh, snap fingers, stomp feet, and get ready to have your heart opened and your mind blown! For full event details, including ticket and venue information, please click on the following events! Vic Voices High School Slam Championship Semi-Finals Tournament! This year’s teams compete for the finals stage! Tournament kicks off at 5PM, bouts run til its done! $10 for adults, $5 for students, free for registered poets and coaches. Write with a world champ! Our beloved alum return to the mic, joined by award-winning writer Alessandra Naccarato! $6 – 10 for everyone, free for registered poets and coaches. Write with a multi-award-winning writer! Featuring the top four teams from semis PLUS a showcase performance by our alumni of honour and World Poetry Slam Champion Ian Keteku! We recognize that our work occurs primarily on the unceded territory of the Lekwungen peoples, today known as the Esquimalt and Songhees First Nations, as well as on other unceded territories on lower Vancouver Island.